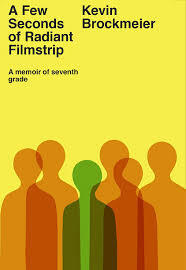 I reviewed Kevin Brockmeier’s latest work, a memoir of his coming of age, here. In short, it’s excellent, so you should read it. Following that, I held an interview with him, which I’ve had in my queue far too long. I think it’s well-seasoned enough to post now. Sorry I’ve been so lazy occupied with other things. LG: What precipitated the decision to write about your experiences from 7th grade, in particular? Were there feelings of release afterward, any particular events you needed to get off your chest at this point in your life? KB: The book had been percolating for quite a while. In fact, I tried to start it several years ago, but couldn’t quite figure out how to approach the material, so I set it aside to write The Illumination. Seventh grade was probably the most eventful year of my childhood, and certainly the most difficult, and it’s also the year I’ve spent the most time trying to understand. Writing the memoir, I’m afraid, didn’t exactly release me from any of that. What seems to have happened instead is that the events of that year, which had hardened over the decades into a dozen or so ready-made stories, were moved out of the realm of anecdote by the book and back into the realm of experience. The impulse behind the project was to take all the circumstances of my life—the person I used to be, the friends I used to know, the girls I used to like, the dreams I used to have, the movies I used to watch, the secrets I used to keep, the doubts I used to hide, the adulthood I used to anticipate—everything, whether good, bad, or embarrassing—and gather it back together. LG: How does the process of writing autobiography differ from writing fiction? Should we expect more books about your personal life in the future? KB: The actual work of it is very similar: me, sitting quietly in a room, slowly attempting to bend each sentence to its purpose. The difference is that, with this book, I tried very hard to cleave to the facts of my past experience, as well as to what I could recollect of my former consciousness. Even the most fantastic or otherworldly of my other books have been filled with the intimacies of my life, but none of the others were beholden to my actual autobiography. Again and again, at each moment, I had to remind myself what it was like to be the peculiar boy of thirteen I once was, and I had to suit the stance of the narrative to that boy’s mind, his understanding, and his vocabulary. It was a very foreign constraint for me, the truth—and a struggle, too, I have to say. I might attempt another memoir eventually (eleventh grade? twelfth? ), but not right away. LG: Are you a big reader of author autobiographies? Does reading such personal works enhance the experience of reading the author’s other works? KB: I’m a big reader of authors—period. If I love a writer, I’ll read everything he’s written, and a fair percentage of what’s been written about him. Some of the authors I most admire were reluctant to write about their own lives (Italo Calvino). Others did so through a scrim of fantasy (Walter Tevis) and others still with almost no disguise at all (William Maxwell). Regardless, I think that when you read the whole of a writer’s work—fiction, essays, autobiography, and everything else—you do begin to see each individual book with more clarity. In my own particular case, while I’m sure A Few Seconds of Radiant Filmstrip sounds like a departure from most of what I’ve written, I think somehow that it exists in the same narrative world as my other books. I hope, at least, that they all have something to say to each other. LG: When not engaged in writing, how much time do you spend reading? Any work(s) or authors you believe influenced your own style of writing? KB: Even when I’m right in the thick of a project, I spend a lot of time reading—certainly as much time as I spend writing. When I began working on this book, I was under the imaginative magnetic sway of a pair of memoirs, Stop-Time by Frank Conroy and I Will Not Leave You Comfortless by Jeremy Jackson, and also a pair of autobiographical novels, So Long, See You Tomorrow by William Maxwell and The Dangerous Lives of Altar Boys by Chris Fuhrman. That said, I’m influenced by everything I read, or at least everything I read with love or hate rather than indifference. The best book I’ve read in the past year was Turtle Diary by Russell Hoban, and in the past few months probably Dept. of Speculation by Jenny Offill. The best author I’ve discovered from out of nowhere recently is Chloe Aridjis, who’s published two novels, Book of Clouds and Asunder. I keep a list of my fifty favorite books, which I’m constantly reconsidering. I’ll append the most recent version of it to the end of this interview. LG: Do you have a large book collection? Are you a one book at a time reader or able to divide your attention between several? KB: When I’m reading for research rather than pleasure, I have no trouble setting one book aside for a brief dalliance with another, but otherwise I’m a serial monogamist. Against every free wall of my house is a row of bookcases, and every one of those bookcases is full. I would be entirely out of space if I didn’t keep discovering new little storage nooks: coffee tables, closets, cabinets. LG: What about your writing process? Are you able to juggle more than one major project at a time or does your current book consume you? KB: Usually I work on one book at a time, though occasionally, if I’m writing a novel and I finish a section, I might pause for several weeks to try my hand at a short story. When I’m home, presuming I’m healthy, I try to devote as much of the day to writing as I can. I typically work from nine-thirty or ten in the morning to at least dinnertime, but I’m often more productive during my supposed post-work tinkering time than I am during my proper working day. The truth is that, hour by hour, I get very little done, but there are an awful lot of hours wrapped up in every story I write. The only thing I can say I’ve learned for certain is that the more time I’m able to spend writing, the more I’ll eventually, slowly, painstakingly, accomplish. LG: Are you a writer who needs to outline a project beforehand or do you allow stories to unfold as you write? How much of your time is devoted to revision? KB: I almost never outline, but very rarely do I begin writing a story without knowing roughly how long it will be, how many divisions it will have, and how its sections will rest alongside each other. The shape of a story—that’s what I know before I start: some scheme or intention of form that provides a predetermined vessel for the content. I tend to revise each sentence many times before I move on to the next, each paragraph many times before I move on to the next, and each page many times before I move on to the next, which is to say that I progress very slowly from the beginning to the end of a story in a series of tiny overlapping waves. Because I work that way, my stories have usually reached a state that’s fairly close to their final form by the time I complete the last sentence. My final editing process, then, usually involves reading back through them to look for any infelicities, imprecisions, or contradictions I might have missed along the way. LG: Are readers of literary fiction a declining breed? What, if any, impact will current trends play in the prospect of yet-to-be-written classics? KB: I can only speak for myself and say that I don’t know how books will be read a hundred years from now, from pages or screens or some device no one has yet imagined; don’t know what new shapes the English language will assume; and don’t know what upheavals, hardships, and erosions the world will undergo—but I believe that people will continue to find significance in stories and that there will always be value in examining words for their insinuations, their dim traces of other times and places, and attempting to fit each one properly to the next. LG: Have you begun work on your next book? Is it necessary for you to take significant breaks between projects or are you able to flow from one to the next? Right now I’m spending a semester teaching at the Iowa Writers’ Workshop. I never get much of my own work done when I’m here, but I do have a new project in mind, though so far I haven’t done much but tiptoe through the first few pages. I’ll see if I can gain my stride after I return home in May.